Chance the Rapper met with Illinois Gov. Bruce Rauner recently to discuss money for Chicago Public Schools, and the half-hour meeting left the three-time Grammy winner feeling a little empty. “He gave me a lot of vague answers,” Chance complained to reporters. But rather than limit his activism to groaning, the 23-year-old public school product instead announced Monday he was giving $1 million to Chicago schools and his charity, SocialWorks, would give $10,000 for every additional $100,000 raised. Of course, the rapper is no stranger to philanthropy. He’s done his part to combat gun violence in his hometown and raised money to put coats on kids’ backs and to bring technology upgrades to schools, among other endeavors. Too often, it seems, rappers make headlines for their bad behavior. So let’s have a look at 10 hip-hop stars who have used their influence to make the world a little nicer. 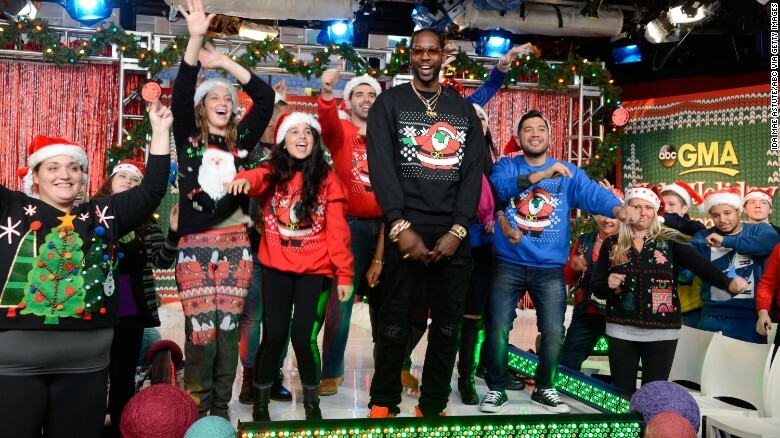 2 Chainz hosts the annual ugly sweater contest, on “Good Morning America,” in December 2015. No lie, Atlanta’s Titi Boi is a serious philanthropist. Not only did he reportedly raise $2 million in 2015 through sales of his “Dabbin’ Santa” ugly Christmas sweaters, but he announced that he was looking for needy families to spend it on. Some of that money went to buying furniture and paying a year’s worth of rent for an unemployed single mother and disabled veteran from his hometown of College Park, Georgia. He also bought a minivan for a family who lost their home in a fire and provided a five-bedroom home for a year to a family of 11. 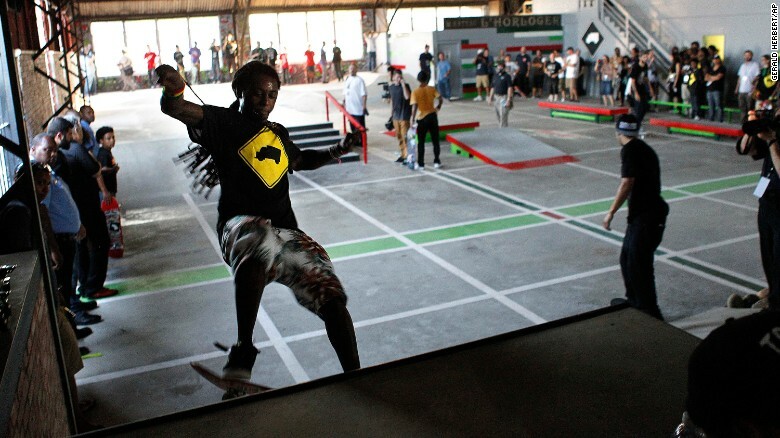 Lil Wayne skates in a park he helped finance in 2012 in the Lower Ninth Ward of New Orleans. Lil Wayne has clothed kids in Haiti, opened a skate park in New Orleans’ Lower Ninth Ward, bought a wheelchair for a disabled fan’s mother and channeled Bob Dylan for “We Are the World 25 For Haiti.” He also joins his Cash Money Records brethren in handing out turkeys around his native New Orleans during the holidays. Weezy’s hometown is clearly dear to him. When Harrell Park, where the 34-year-old multiplatinum rapper played as a kid, fell victim to Hurricane Katrina — and then became a parking lot for FEMA trailers — Lil Wayne kicked in $200,000 to help rebuild the park. Today, the park boasts basketball courts, lit fields, an outdoor pool and track. 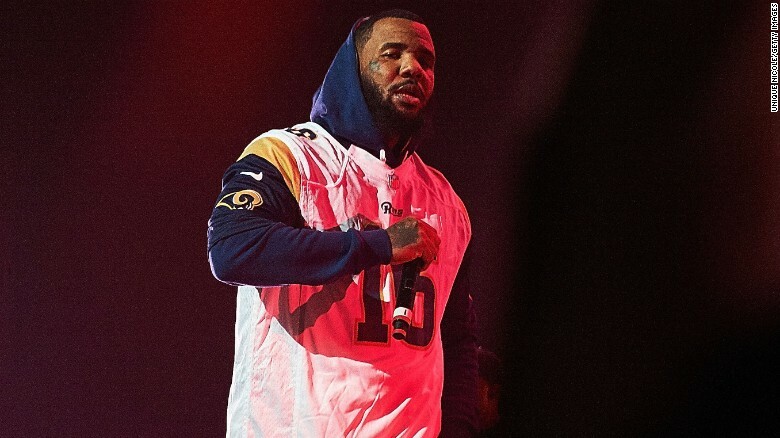 The Game performs on November 23, 2016 in Los Angeles. In what might have been a little charitable … gamesmanship, Los Angeles’ The Game last year mocked singer Madonna’s and comedian Jimmy Fallon’s $10,000 donations to help with the Flint, Michigan, water crisis. He then showed “How We Do” by vowing via Instagram to donate $1 million worth of water and posted a wire receipt showing he had already handed over half that amount. The 37-year-old’s The Robin Hood Project has been helping people ever since The Game encountered a Nigerian man in Australia sharing a one-bedroom apartment with 20 people. He wanted to help the gentleman, but had only 20 Australian dollars on him at the time. 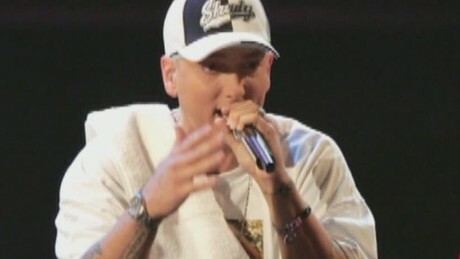 Despite the occasional report that he has lent his support to the Elton John AIDS Foundation or contributed to the Philippines’ typhoon disaster relief efforts, Slim Shady and his Marshall Mathers Foundation keep a fairly low profile. He “doesn’t personally believe in publicizing philanthropy,” the rapper’s foundation’s secretary once explained. Every once in a while, though, a story slips out. Such was the case in 2013 when it was revealed that the self-professed “Rap God” had donated $200,000 to Wolverine Human Services, which helps at-risk youth in Michigan. CEO Judith Wollack was delighted to finally be able to speakabout the hometown hero’s generosity, after keeping it a secret for two years. She explained the money had been spent on buying children gifts over a span of two years. “The Princess of the Posse” has had a hand in many a hit song and movie, but she’s also produced her fair share of smiles through her philanthropy. When a Camden, New Jersey, drill team had to vacate its dilapidated practice facility for repairs in July 2014, the rapper/actress stepped up with $10,000 for the Camden Sophisticated Sisters. During a 2006 telethon for hurricane relief, she kicked in $100,000 to help victims of Katrina. In addition to contributing to LGBT, senior citizen, civil rights and anti-bullying efforts, Latifah’s helped a variety of other groups, including veterans. In June 2015, she gifted the version of national anthem that she performed a few months earlier at the NBA All-Star Game to Fisher House, which provides “comfort homes” to the families of hospitalized veterans. The organization sold the single for download and streaming and used the proceeds to help military families. 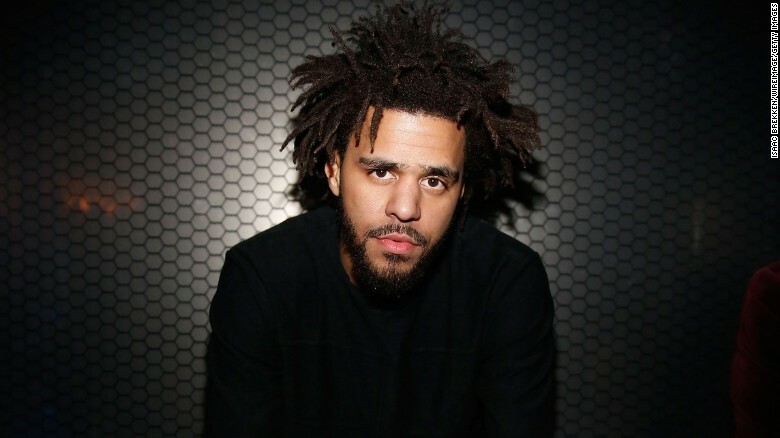 J. Cole is pictured following a 2015 performance in Las Vegas. The “Born Sinner” certainly atones with generosity. Though he moved to New York after high school, J. Cole never forgets his hometown of Fayetteville, North Carolina. Prior to the 2013 school year, he kicked off a tradition of donating school supplies — including backpacks, notebooks and pens — and he announced that his old Fayetteville home, made famous on the cover of his album, “Forest Hills Drive,” would serve as rent-free transitional housing for single mothers in the Cackalack. 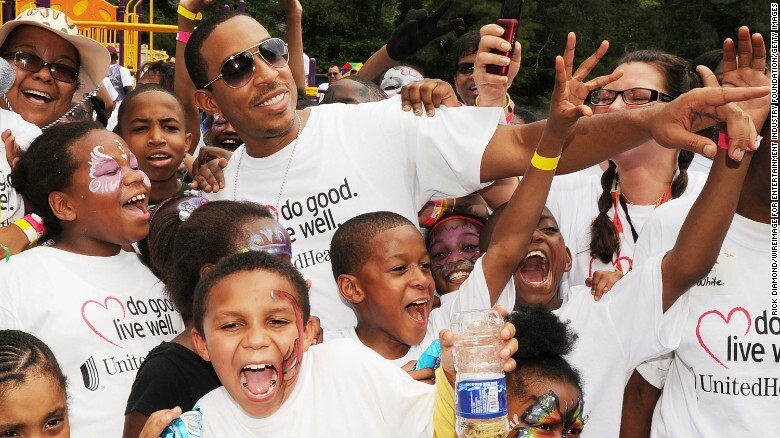 Ludacris with Venetian Hills Elementary students at a playground build in 2010. The “Get Back” rapper gives back, that’s for sure. When flooding hit Atlanta in 2009, he donated to recovery efforts and handed out more than 500 coats to students who had found their homes and school underwater. When he learned Venetian Hills Elementary School had gone years without a playground, he helped build one. After Typhoon Haiyan, he gave generously to the United Nations agency scurrying to feed the battered Philippines. “We were put on this Earth to help others. All you blessed people go bless someone else,” the three-time Grammy winner has said. Through his eponymous charity and other outlets, Luda has followed up on those words, taking on a litany of causes, including cancer, the environment, at-risk youth, AIDS, human trafficking, poverty and literacy. 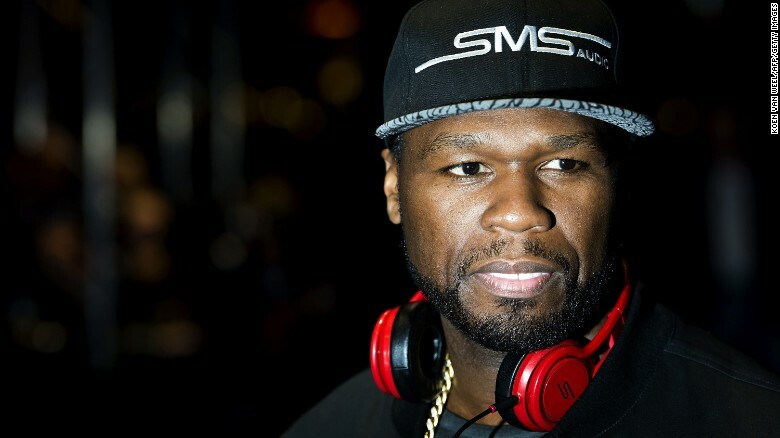 50 Cent smiles during the 2014 release party of his new headphones in Amsterdam. Not many rappers have been called a “humanitarian genius” in the UN Dispatch. But Fitty earned the moniker in 2012 after announcing he would donate a billion meals to the UN World Food Program. At 10 cents a meal, that meant $100 million, which the rapper said would come from sales of his Street King energy drinks. He even visited Kenya and Somalia to better understand the hunger problems facing those countries. Back home, the Queens native’s G-Unity Foundation has worked to lift up impoverished Americans, while the rapper has teamed up with Feeding America to deliver food to hungry children. Last year, he fell out of many fans’ good graces when he filmed himself teasing an autistic janitorhe thought was stoned. He issued an apology, as well as a $100,000 check to Autism Speaks. 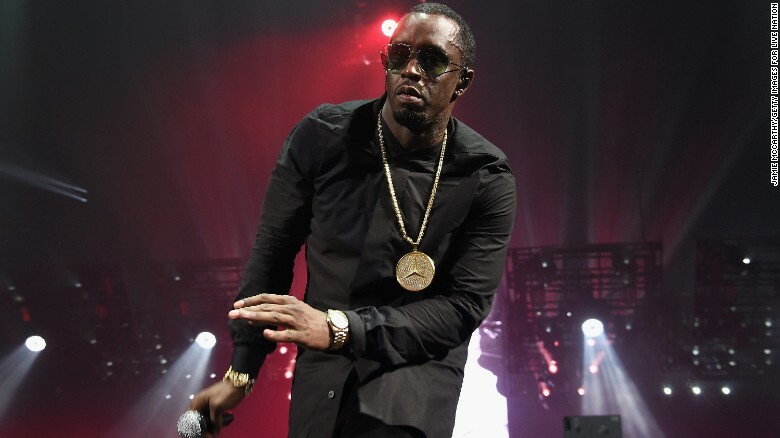 Diddy performs onstage during the 2016 Family Bad Boy Reunion Tour in New York. Oh, where to begin with Sean Combs? There’s the time he pulled the Boys & Girls Club of Harlem from insolvency with a $60,000 donation. Or perhaps the time he raised $2 million for children’s charities running the New York Marathon. How about when he gave his alma mater, Howard University, $1 million for business scholarship and internships? He also sits on the board of the Hip-Hop Action Summit, and has been quick to “Blow a Check” on a variety of charities, including the Breast Cancer Research Foundation, Network for Teaching Entrepreneurship and the i.am Scholarship fund. After a superstorm slammed the northeast United States in 2013, Combs co-hosted the Superstars for Sandy Relief party, which raised $524,742.